We've been drinking lots of glasses full of iced coffee in the house for a cold jolt of energy in the middle of these hot summer days. You'll need lots of ice cubes, freshly brewed (then chilled) coffee of your choosing, cream and sweetener of your choosing — that's it. Let's get started. First things first, getting your chilled coffee. 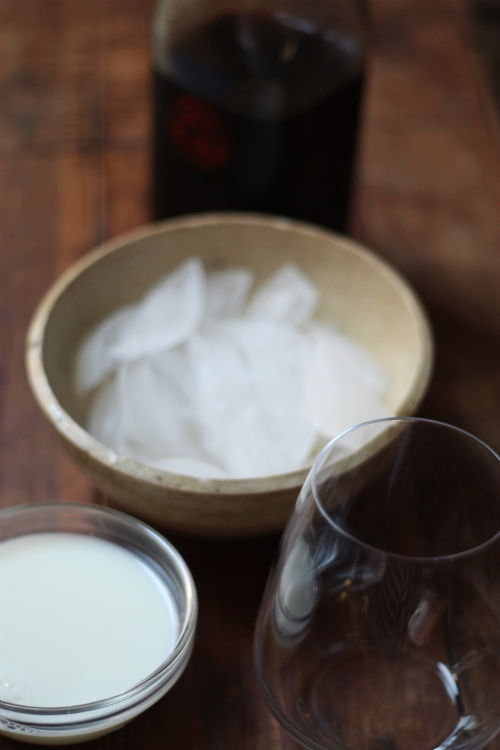 We went with freshly brewed coffee (dark as dark blend from local roaster, Blanchards) that we transferred over to an empty glass milk bottle we had on hand and had let chill overnight in the fridge. You can keep chilled coffee like this in the fridge in a pitcher or other large container to use multiple times as needed instead of having to brew and chill every time. 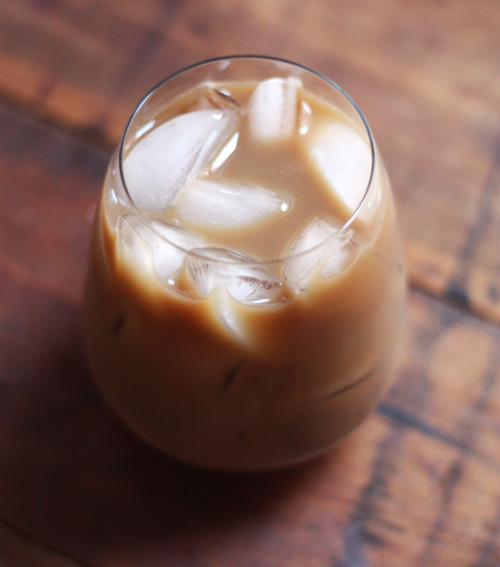 Once you've got your chilled coffee ready, you are set for making iced coffee. Fill your glass to the brim with ice. 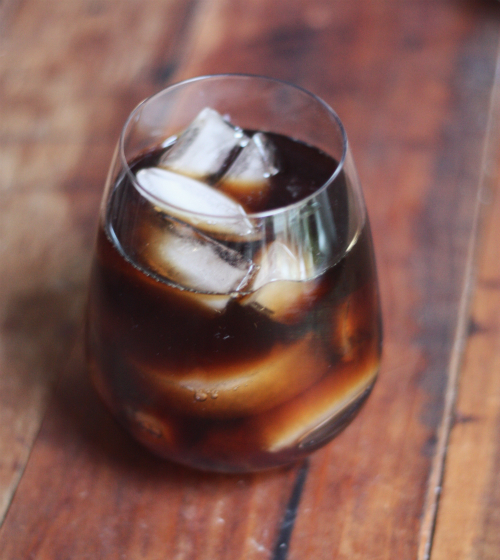 One neat trick we've heard is to actually use more of that chilled coffee to make ice cubes out of for iced coffee — that way as you drink, the ice stays concentrated to coffee instead of getting watered down. 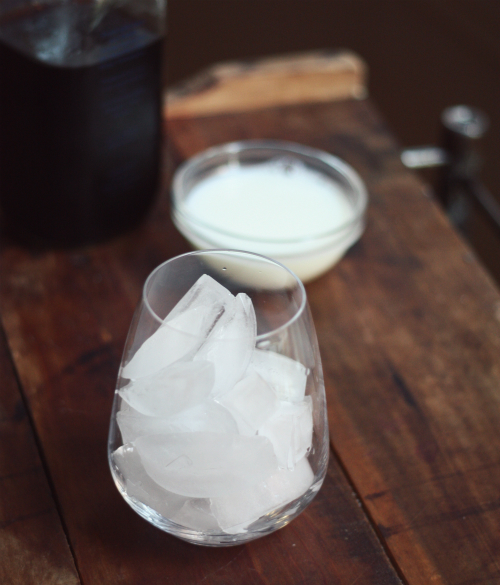 We'd love to try this at some point, but have been sticking with regular old ice so far. 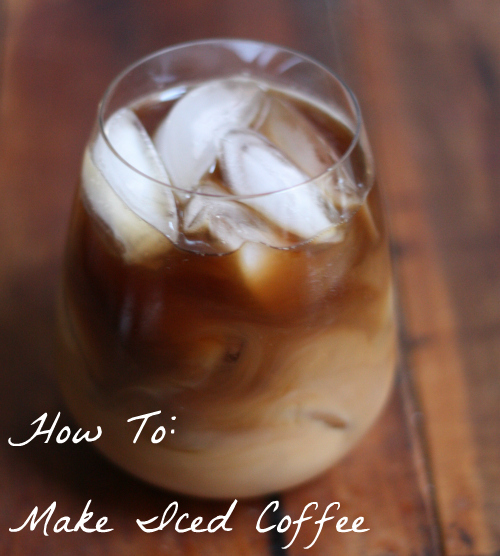 Pour chilled coffee over ice and leave room for cream. If you're not a cream type of person, you can call your coffee done! If you're like me and Tim, you like cream in your coffee, here's where you add as much as you like of the type of cream you like (milk, cream, half & half, soy, almond milk, you get the idea...). Tim to sit back, take a cool sip and enjoy. They've been particularly good as a mid afternoon pick-me-up. How do you take your coffee? It's taken Tim and I almost 8 years to perfect one another's preferences and sometimes we still get it wrong. He likes a big serving of coffee with only enough half and half to turn the color and a packet of Sweet'N Low. I like my coffee with cream and that's it, but I'm not picky about the type of cream — milk, half and half, almond milk and I'm good. No sweetener but more cream than Tim likes. I've recently gotten into cold brewing with the Toddy System. Once you try it, you will never go back! It's the smoothest and most refreshing iced coffee I've ever had. If you've tried Black Hand's iced coffee, they use this system too. It's pretty simple: you coarsely grind the beans and let them sit in water in the fridge for about 18 hours, then drip brew the coffee through a thick filter and voila! It's supposed to be much less acidic and better for your system as well. I love adding a bit of soy milk & maple syrup to top it off. Give it a try sometime! 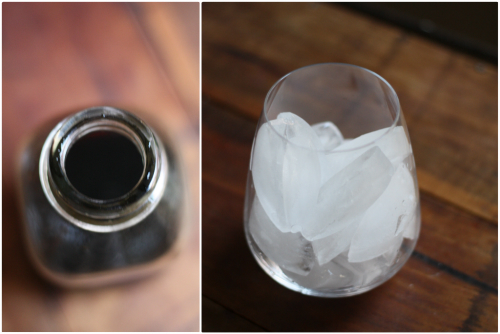 Wow, cold brewing sounds like something we'll need to put on our list to try — thanks so much for introducing us! I also cold brew - takes much less time, and definitely less acidic. I recommend filtering through cheesecloth. Oh, I should mention that we don't use anything but a big plastic tub and some cheesecloth! I love iced coffee as well. Like Christy, we have the Toddy System and make 1 pound of cold brewed coffee concentrate about every week and a half. You dilute the coffee concentrate with water so the coffee can be as strong or as weak as you like it. It works great for us because I like my coffee a little weaker than Isaac likes his. 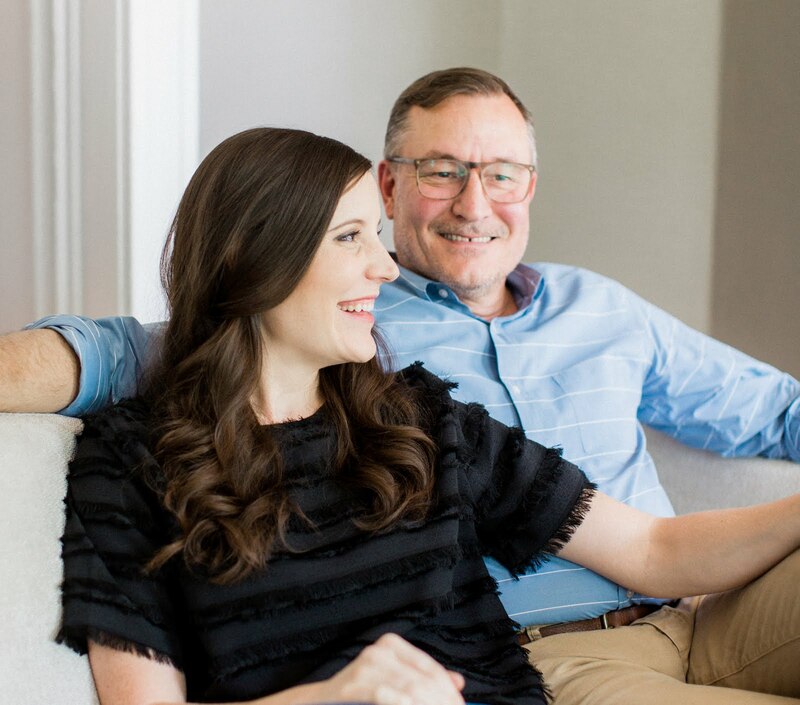 Brittany — I think we are going to have to try it! Looking up Toddy Systems as we speak, thanks! So funny Angie — we are looking forward to that 50 degree weather coming back to us here! I don't like the flavor of artificial sweetener, so I make small batches of simple syrup to keep on hand for sweetening cold drinks. The latest batch was infused with clove and cinnamon, in my attempt to recreate the infused syrup drinks I've had at Cous Cous. Goes well with iced coffee, too. Oh, and I cold brew my iced coffee, too. I have a large-ish French press, and just leave the grounds in it with water filled to the limit for about 12 hours. Press and strain into another container (through a paper cone filter if you don't want the sediment) and you're ready to go. No heat required. Anna — love your idea for simple syrup, thanks! I like mine brewed over sweetened condensed milk (or table cream) then chilled. Yum, that sounds delicious Adam! I surprised that I don't see this suggestion anywhere on this list. 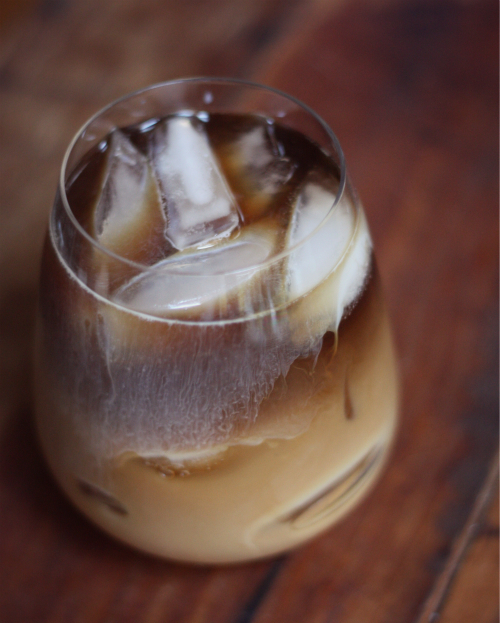 I always make ice cubes from coffee and tea and use them when I serve the iced coffee or tea. Thus, the drink is never diluted. Friends are always so happy with a full strength drink, right to the very last drop.